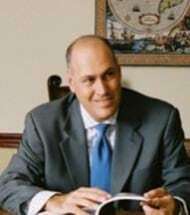 Alex Alvarez attended Florida International University (FIU) where, in 1988, he earned a Bachelor’s degree in Finance and International Business. Alex received his Juris Doctorate Degree from Florida State University in 1992. At Florida State University School of Law, Alex served on the AFTL Mock Trial team and served as President of the Spanish American Law Association. In his final year of law school, he participated in an externship with the Dade County State Attorney's Office where he successfully prosecuted second-degree felonies before a jury. Upon admission to the Florida Bar in 1992, Alex joined a well respected insurance defense law firm dedicating his practice exclusively to the representation of physicians and hospitals against claims of medical malpractice. He handled all aspects of medical malpractice defense from the statutorily mandated pre-suit investigation through trial. In 1995, Alex joined Frontier Insurance Company as staff counsel. Alex expanded his practice to include general liability defense involving a diverse scope of issues including negligent security, premises liability, defamation, crane operation, and child care supervision. In 2000, Alex founded his firm which he eventually merged with Wolpe & Leibowitz, L.L.P. in 2002. After more than 9 years as an equity partner, he elected to open his own solo practice. Alex Alvarez is also a Florida Supreme Court Certified Circuit Court Mediator. Alex Alvarez has been a guest speaker at multiple continuing education forums where he has addressed physicians, hospital staff and claims professionals. He is fluent in Spanish.